Our product range includes a wide range of second flush darjeeling black tea and darjeeling first flush black tea. Riding on unfathomable volumes of industrial expertise, we are involved in offering Second Flush Darjeeling Black Tea to the clients. Darjeeling is known as the “champagne”of teas in the world. While the first leaves in the spring tend to be delicate and almost green in flavour, second flush Darjeelings generally have a richer, darker taste. This one is bright, woodsy and earthy, with notes of honey, fresh mushrooms and meadow flowers – like a forest getaway in a cup. Empowered with a team of passionate personnel, we are affianced in providing Darjeeling First Flush Black Tea to the prestigious customers. Darjeeling tea taste just like the mountains they are grown on. 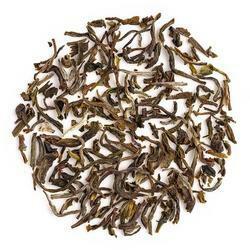 Second flush Darjeelings generally have a richer, darker taste. This one is bright, woodsy and earthy, with notes of honey, fresh mushrooms and meadow flowers like a forest getaway in a cup.